Today is an extra special day for me as it's the 3rd year anniversary of my blog! For reals! When I first start sewing I remember discovering the world of craft blogs online and my life changed! Suddenly there was this open, friendly community that was more than willing to share their knowledge and advice and it really fast-tracked my progress with sewing. Three years ago I decided that I would start my own little sewing blog where I could document my own creations and interact with more likeminded people. I love this community and I've made many great friends through the blogosphere. To celebrate my third year blogging I thought I'd share another project with you that I made a while ago. It's the Gabriola Skirt by Sewaholic Pattens and it's made using a ridiculously beautiful silk fabric that I bought from Tessuti Fabrics. My full apologies for not ironing the skirt before I took the photos. I didn't notice until afterwards. My mother is going to KILL me. For a full review of this skirt you can check out my other Gabriola skirt that I recently posted about. The only difference is that i fully lined this version. Congratulations on your blog anniversary. The skirt is beautiful! That skirt is beautiful!!! LOVE the fabric! Thank you! I just wish that I had more of this fabric! Oh this is SO gorgeous! I've been dying to see what you made with this fabric and it was totally worth the wait. Happy anni to you and your lovely blog! Oh my God, this is so amazing! The fabric is to die for and I love the way you placed the print on the yoke. Thanks Shar! This is definitely a great example of how good fabric can make a design look 10 times better! Do it, do it now! It's an amazing pattern! Oo good luck with the blog! Let us know when you've started it! Happy Blogiversary!! Didn't realised you've only been around for 3 years...pro from the go! This Gabriola is stunning. Aw thanks Sophie! Blogging has been a real surprise love for me. Now it goes hand in hand with my sewing and I get so excited to do a new post! Oh my, if I could somehow reach through my computer and steal this I would (except that's mean lol) it is so so stunning, I loooove it! Think I definitely need Gabriola in my life before Summer :-) happy Blogiversary! thanks Stacey, and what a great compliment! I think stealing is the highest form of flattery ;) Good luck with your Gabriola! A match made in fabric and pattern heaven. Divine! Congratulations on your blog anniversary. I love reading your blog! I love the fabric of your gabriola! I bought this pattern few weeks ago and still looking for the right fabric. Congratulations on 3 years! Thank you for sharing your makes😃. That skirt is FABULOUSLY chic and stylish. Well thank you! What a great compliment! Congrats on three years! That Gabriola is divine. I was thinking as I first saw the photos that it looked like a Tessuti fabric ;-) They get in the most divine silks. Nat you are wonderful, thank you! That fabric (and resulting skirt) is GORGEOUS!!! Happy blogiversary! oh julia, that's EXQUISITE!! and happy anniversary! Thanks Ms Balloona! High praise coming from the Queen of exquisite fabrics! WOW ! What a stunning skirt!! And thank YOU for sharing your creations and words with us for the past three years! This space is always such a joy and inspiration to visit! Gorgeous skirt. It looks so high-end and luxurious. Happy anniversary! That skirt is amazing in that fabric! Simply gorgeous, as always! Congrats on your success with your blog. 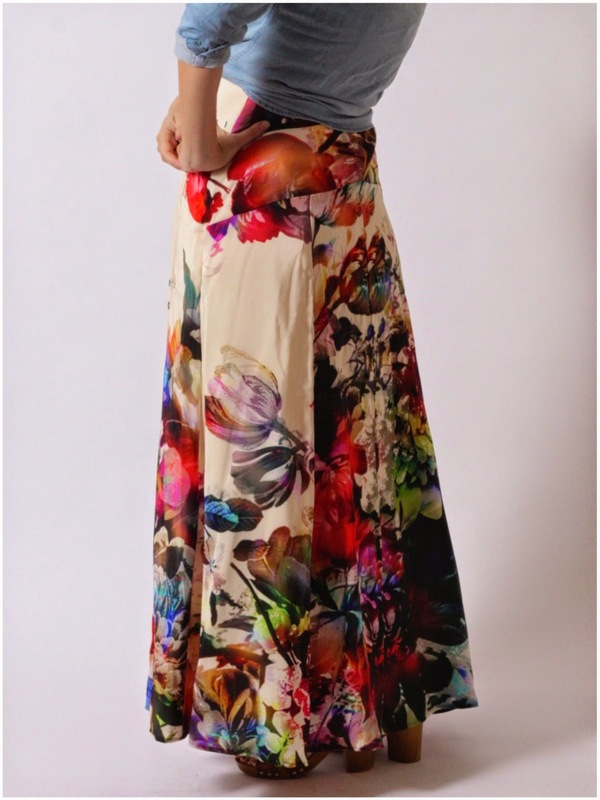 Just purchased your skirt Gabriola, and I love it. There will be many of these hanging in my closet and on me. Have a great day,. Just gorgeous. Love the pattern placement. Congrats! 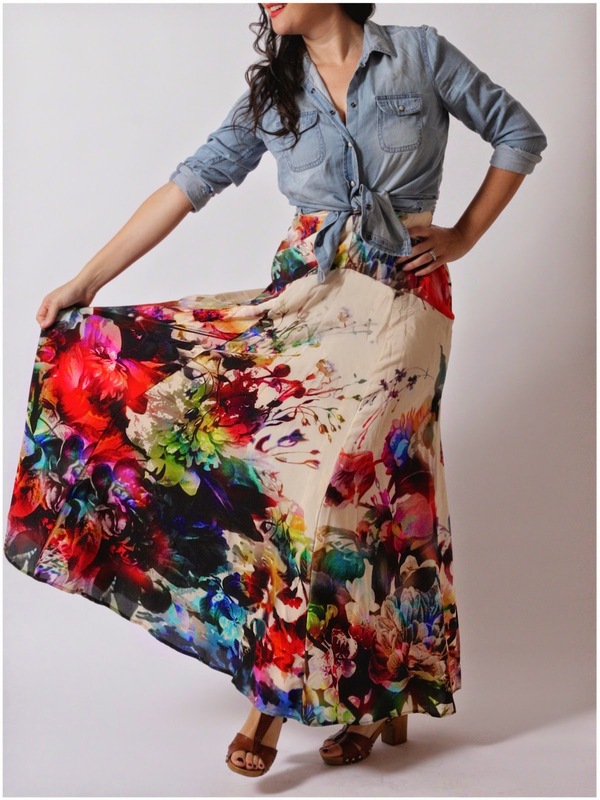 Couldn't have picks a better print to show off the style lines of this skirt :) Ready for summer days! Damn this fabric totally plays up the piecing of this skirt. Simply smashing! That is GORGEOUS. I am infinitely jealous. I always like the Gabriola a lot, but this? Over-the-top love. Beautiful shirt too - that silk is divine! grr - *skirt* - clearly I know the difference but auto correct does not! You are right, this fabric is ridiculously gorgeous! Ahh, it puts my floral rayon gabriola to shame, which I had deemed ridiculously gorgeous - until seeing this. The sewing community is glad to have you. Keep making beautiful things! 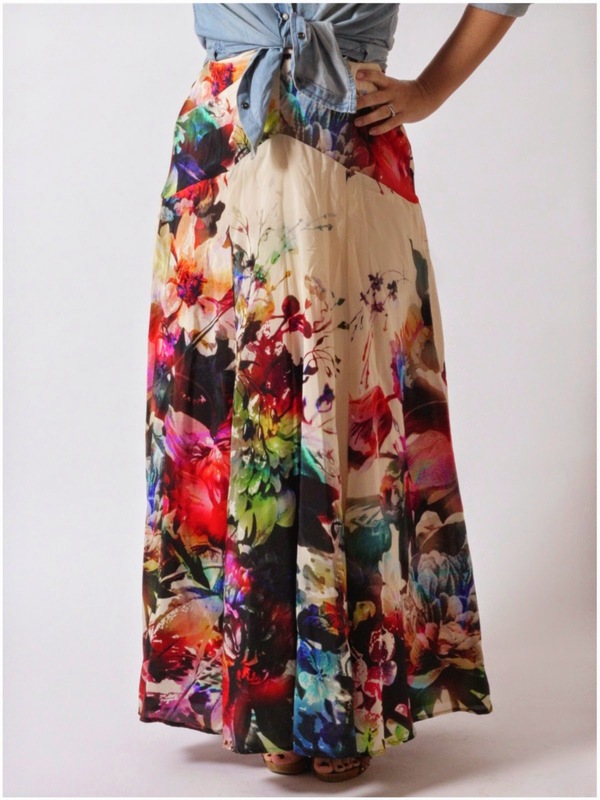 Congrats on your blogaversary- and the fabric & skirt or Gorgeous!!!!. I feel a fabric lust coming on. I can't tell you how much I love this! Happy blogversary, too. Sensational skirt! You're right, it is fantastic fabric and looks amazing on you. I will look up that pattern! The trick is picking the right fabric for the pattern, isn't it? You nailed it on this one! I've only recently discovered your blog and love it. 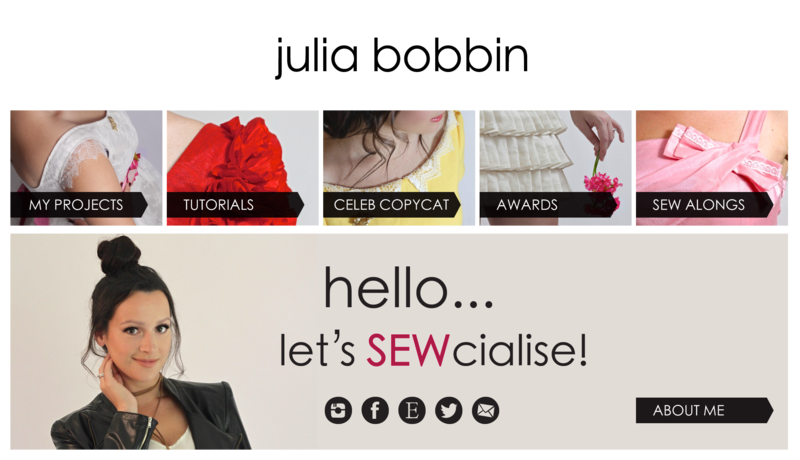 I've only just discovered the whole sewing community actually! I'm where you were three years ago, just starting my blogging journey this past spring. I used to sew back when I was in my teens and 20s, and started back just for kicks after many years of buying off the rack. Reading blogs like yours has kept me inspired and encouraged… so thanks for being out there, and congratulations!!! that is a stunning skirt. If I see you walking down the street I would have to come over and say hey I love your skirt! Oh, what a gorgeous skirt! I adore the fabric choice, and how you used it on the waist panel details. Lovely job there! It is ridiculously beautiful fabric that has been used to perfect effect!! First off, congrats on your 3rd year blog anniversary! You definitely deserve to have this blog run for many years because you are such an inspiration to all aspiring sewists. Thank you for sharing this gorgeous skirt pattern. The floral touch and the entire design is really an awesome stunner. Kudos again! Gorgeous fabric that turned into a lovely skirt! That is amazing fabric! I just started using Bloglovin' and your blog was a recommendation for me. Love your skirt! This skirt is splendid on YOU!